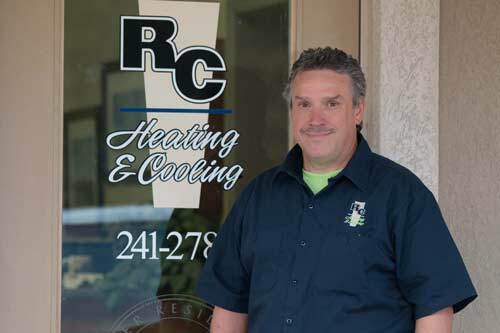 RC Heating & Cooling, Inc. became incorporated in the latter part of 2002, and began operations in mid-2003. We are located at 207 N. Hickory in McPherson, Kansas. We provide services for heating, air-conditioning, electrical and refrigeration: this includes heat pumps, ground source systems, boilers, chillers, coolers, ice-machines, tankless water heaters, radiant flooring–hydronics, sheet metal work, ductwork, filtration systems, indoor air quality, maintenance, etc. We are a small, family-owned company and enjoy helping our customers become and stay as comfortable as possible with their indoor weather. You can contact us by stopping by the shop between 8 and 5. You can call us at 241-2787 or use the form on the home page to e-mail us. Ross is the boss here at RC. He holds a Masters Mechanical license and contributes to whatever work is happening. Ross has 3 sons and is a weekend cyclist and enjoys adding more miles each year. 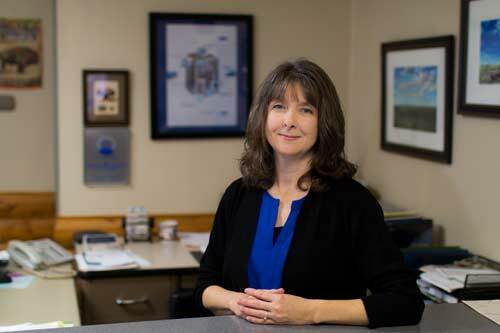 Julie is the secretary at RC Heating & Cooling. She helps with bookkeeping and marketing. She’s married to Ross, has 3 sons and lives here in McPherson. Julie does a lot of cooking, likes to garden and read, and occasionally plays the piano. 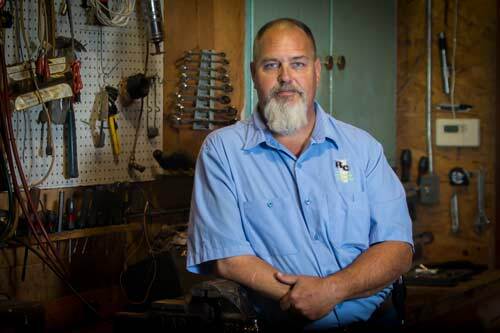 Bryan is the sheet metal fabricator and installer at RC and also helps as a service technician. He’s married and has six children. 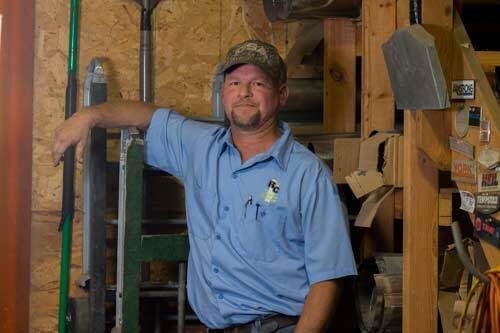 Bryan is a gardener and likes to fish and shoot at the range, and spend time with family. Jack is the official “shop dog” here at RC. He keeps things organized, helps with equipment, and maintains a smooth running shop. Jack has five children. He is a member of the American Legion Riders and is Vice-Commander of the Sons of the American Legion. 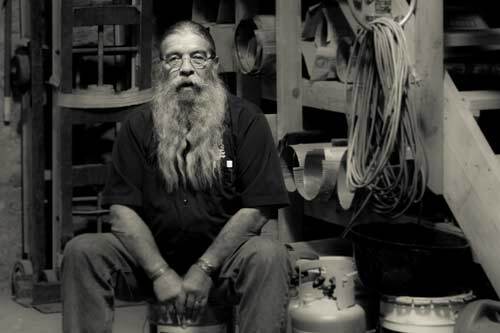 Darrell has been in the HVAC and Electrical business since 1966, except for 2 years when he served in the army. He does estimates and ordering at RC and keeps track of all the parts. Married for over 45 years, Darrell and his wife have 4 children and 8 grandchildren. Darrell belongs to the American Mountain Man Association where he participates in a living history of the mountain man style of pre-1840’s living including cooking on an open campfire. He enjoys gardening, family and friends. 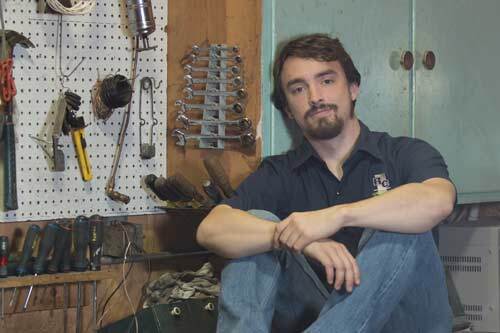 Clinton is a licensed plumber and has his gas-fitters license. 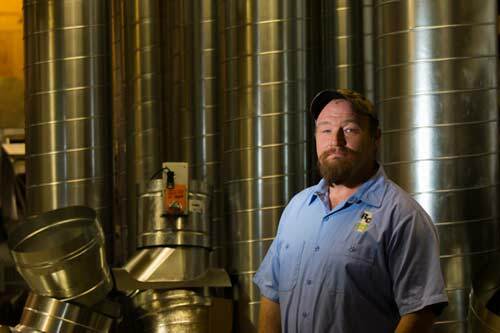 He does custom sheet metal work and HVAC service and repair at RC. He’s married and he and his wife have a daughter. Clint is a bluegrass musician , has a glass blowing hobby and enjoys spending time with family. 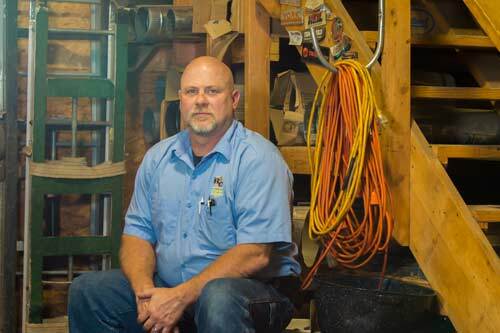 Terry has been in the HVAC and electrical field for many years. He does sheet metal work, installations, service work as well as electrical. As an outdoorsman, he enjoys hunting, fishing, shooting—anything outdoors. Seth is a service technician at RC and also helps with installations. He enjoys hanging with friends and eating great food.